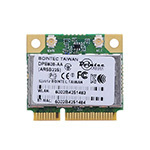 Bointec DGF108A is an dual band 802.11ac/b/g/n Dual- Band WiFi + Bluetooth NGFF adapter. It is a 2T2R (WiFi/BT co-existence supported) technology, with 20/40/80MHz and 256-QAM to maximize bandwidth. Bointec DPE909-AA is a ultra solution that combines dual-band (2.4/5 GHz), 2-stream 802.11n and Bluetooth 4.0 technologies for notebooks, netbooks and tablets. The highly integrated solution not only provides customers with greater design flexibility, but can actually improve the wireless experience for consumers. 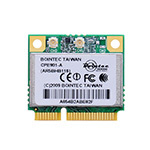 Bointec DPE809-AA included Atheros AR9485 and AR3012 is a 802.11 bgn 1 x1 ,plus Bluetooth 4.0 solution. With features of Atheros Align 1-stream 802.11 n, DPE809-AA cutting the power consumption in half, the AR9485 is enabling best-in-class wireless features with a greatly-reduced impact on the battery life of mobile PCs. 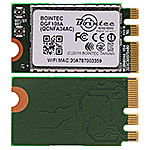 Bointec DPE809-AA backward compatible to 802.11 big and forward compatible to multi-stream 11 n. Targeting the growing value computing products market segment with 150 Mbps PHY rates, DPE809-AA is the ideal wifi solution for computing users seeking robust throughput, enhanced range and extended battery life for data networking applications as well as P2P applications. Bointec DPE809-AA offers lowest power consumption 30 to 50 percent lower than comparable solutions. Such significant power savings are the result of Atheros enhanced PHY architecture, 55nm design and efficient power amplifiers. DPE809-AA also adapts a unique Green Transmission mode, which dynamically adjusts the systems Wi-Fi transmit power depend-ing on the distance between the router and the client device. 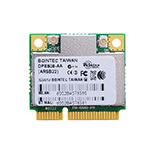 Bointec CPE901-A PCI Express module supports the rapidly emerging 802.11 n standard, which was designed for substantially improving the performance of wireless LAN (WLAN) networks. The CPE901-A features two stream MIMO technology and 40 MHz band width mode with throughput up to 300 Mbps, five times as fast as the current 802.11 alg wireless LAN standards. Bointec has the experience and expertise to provide all of the services necessary to enable embedded wireless networking in virtually any type product. Each card is individually tested and inspected to ensure the industry's highest quality resulting greater performance and reliability. The CPE901-A is designed to meet the demanding performance requirements of critical embedded applications .. 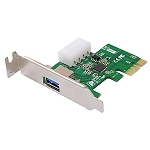 The SATA to mPCIe adapter is a converter tool for PCI-E interface. Half size mPCIe module can be used in full size mPCIe slot with bundled metal baffle. 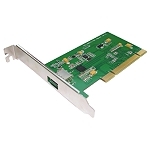 The mSATA to PCIe adapter is a converter tool for PCI-E interface. 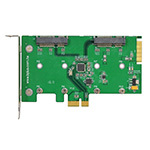 This module allows you connect 2 mSATA SSD to the PCI Express slot. The module can support system boot. 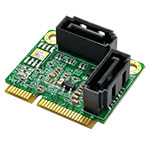 This module allows you connect any SATA device to the PCI Express mini card slot through a standard SATA cable. 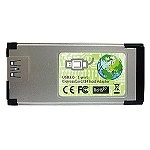 The EC25858 is an 8-Ch Video and 2-Ch Audio decoder with ExpressCard /34 (PCIe) interface. 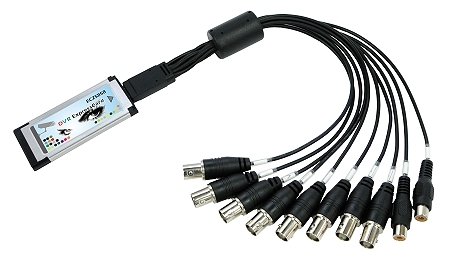 The EC25858 contains eight high quality NTSC/PAL video decoders with 10-bit A/Ds. And 5-line comb filtering surveillance DVRs that utilize a Windows operating system. 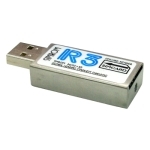 The USBMS-6300V USB MODEM is a complete 3.5G enabled wireless USB data modem designed to offer high-speed wireless connectivity for Windows notebook and desktop computers on HSUPA networks. It is easy to use USB connector and the ability to roam globally on tri-band UMTS and GSM, EDGE, GPRS, WCDMA(HSUPA) networks. It enables connection to internet download speed up to 7.2Mbps and upload to 5.76Mbps..
Standard SIM card Push Push connector is provided. 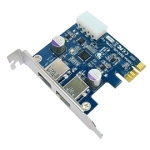 This PP3U PCI – USB3.0 add-on card adapter allows you to use your existing USB3.0 device to legacy PCI bus interface. Read and edit SIM cards, perform timely backups of your personal data. SD card to Add-on card adapter design for high speed SDHC cards and SDIO cards. You can easily add SD card to your Desktop PC PCI-E slot. To use SDIO wireless Cards on Windows 7, your system requires choose Microsoft SDA host inbox driver. And SP1 Update or Windows 7 (KB983177) hotfix update. Please backup your data before using the formatting program. 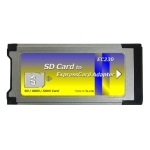 SD card to Expresscard adapter design for high speed SD cards. 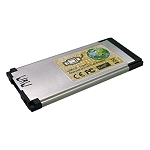 You can easily add SD card to your notebook with 34/54mm ExpressCard slot. 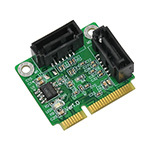 SD card to PCIe Add-on card adapter design for both high speed SD3.0/SDXC/UHS-I cards and SDIO2.0/IO1.8V cards by selecting on-board EEPROMs by slide switch. Besides, as 1.8V LDO is on board, not only 3.3V but also 1.8V can be applied to SD Card power by jumper. You can easily add SD card to your Desktop PC PCI-E slot for testing not only normal SD/SDXC/UHS-I card, but also special SDIO card with 1.8V I/O signaling. SDXC card to Expresscard adapter design for Ultra high speed (UHS-1) SDXC cards. You can easily add SDXC card to your notebook with 34/54mm ExpressCard slot. 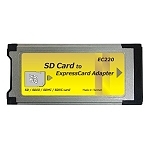 EC4U is Expresscard to USB 3.0 adapter converter. You can easily add USB 3.0 to your notebook with 34/54mm ExpressCard slot. The SuperSpeed USB 3.0 1-Port ExpressCard/34 easily adds USB 3.0 1-ports host to your notebook computer. Maximize data transfer speeds using higher-bandwidth peripherals including external USB 3.0 external disk drives high-resolution webcams digital video cameras and multi-channel audio. 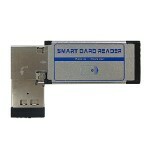 EC3U is Expresscard to USB 3.0 adapter converter. You can easily add USB 3.0 to your notebook with 34/54mm ExpressCard slot. 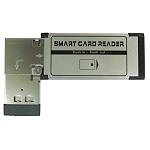 ECSR smart card readers are designed for securing network access, The reader is suitable for an ExpressCard 34mm slot; Using ST7GEM chipset, handling all type of ISO7816 compatible smart cards. As the rates of identity theft increases, more and more companies are turning to smart technology to secure their networks. E.g. home banking, network security, secure logon, email encryption, online gaming, infrastructure for logical access and protecting the privacy of on-line bank customers and web shoppers. ECSC smart card readers are designed for securing network access, The reader is suitable for an ExpressCard 34mm slot; Using AU9520 chipset, handling all type of ISO7816 compatible smart cards.